The Massage in Schools Association is a not-for-profit organisation, bringing together and supporting Massage in Schools (MISP) Trainers, Instructors and branches from over 30 countries worldwide. The Scottish branch (MISA Scotland) was founded in 2003 to provide training and support for Scottish members, to spread knowledge and awareness about our unique child-centred massage programme, and to contribute to its ongoing evolution in schools and child-care settings nation-wide. The mission of the Massage in Schools Programme is to provide high quality and professional training to all teachers and caring adults willing to bring nurturing touch into schools. 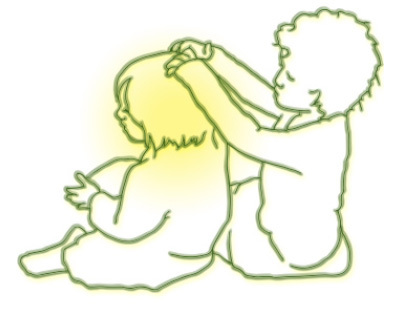 The Massage in Schools Programme (MISP) is a peer massage programme for children aged between 4-12 (with adaptations for 2-3 year olds) that's helping people all over the world. MISP is not intended as a therapy, rather it aims to promote the wellbeing of children in the knowledge that nurturing touch is a basic need and a powerful tool to help children develop into healthy, well-balanced human beings. It has been developed as an inclusive whole school strategy for reducing children’s stress levels, aggression and bullying, and is also implemented in other childcare settings such as nurseries, after school clubs, community groups and families.